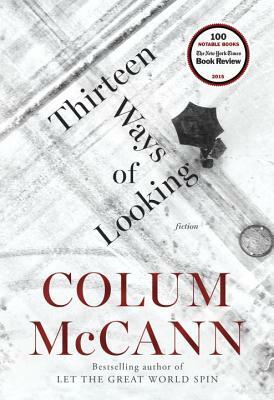 In such acclaimed novels as Let the Great World Spin and TransAtlantic, National Book Award winning author Colum McCann has transfixed readers with his precision, tenderness, and authority. Now, in his first collection of short fiction in more than a decade, McCann charts the territory of chance, and the profound and intimate consequences of even our smallest moments. As it was, it was like being set down in the best of poems, carried into a cold landscape, blindfolded, turned around, unblindfolded, forced, then, to invent new ways of seeing. In the exuberant title novella, a retired judge reflects on his life's work, unaware as he goes about his daily routines that this particular morning will be his last. In Sh khol, a mother spending Christmas alone with her son confronts the unthinkable when he disappears while swimming off the coast near their home in Ireland. In Treaty, an elderly nun catches a snippet of a news report in which it is revealed that the man who once kidnapped and brutalized her is alive, masquerading as an agent of peace. And in What Time Is It Now, Where You Are? a writer constructs a story about a Marine in Afghanistan calling home on New Year's Eve. Colum McCann is the internationally bestselling author of the novels TransAtlantic, Let the Great World Spin, Zoli, Dancer, This Side of Brightness, and Songdogs, as well as two critically acclaimed story collections. His fiction has been published in thirty-five languages. He has received many honors, including the National Book Award, the International IMPAC Dublin Literary Award, a Chevalier des Arts et des Lettres award from the French government, and the Ireland Fund of Monaco Literary Award in Memory of Princess Grace. He has been named one of Esquire s Best and Brightest, and his short film Everything in This Country Must was nominated for an Oscar in 2005. A contributor to The New Yorker, The New York Times Magazine, The Atlantic, and The Paris Review, he teaches in the Hunter College MFA Creative Writing program. He lives in New York City with his wife and their three children, and he is the cofounder of the global nonprofit story exchange organization, Narrative 4."